Richard Marquis (b. 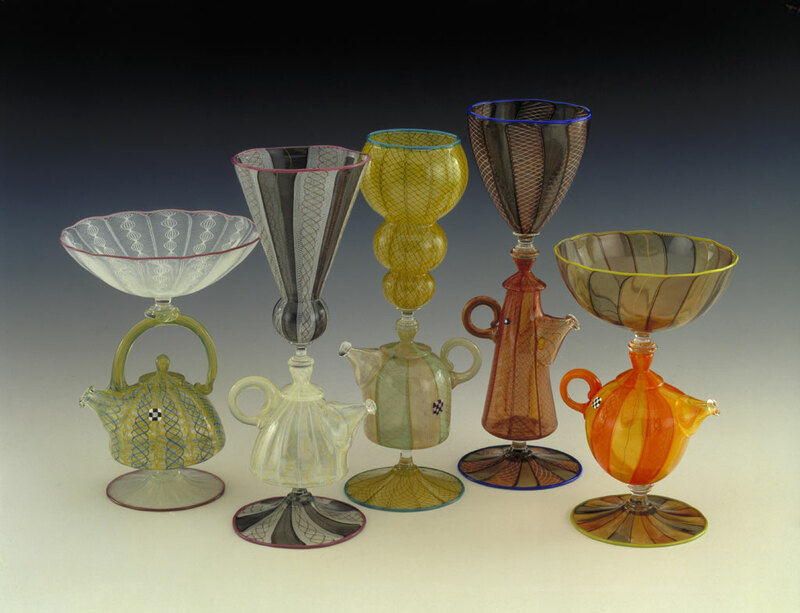 1945) is a glass artist from Bumblebee, AZ, now living in Freeland, WA. He received both his BA and MA from the University of California, Berkeley. He also apprenticed at Venetian glass factories where he learned an updated application of ancient inlaid glass techniques. Marquis’ work has a distinctive sense of humor and has been influenced by ceramicists Jim Melchert and Richard Shaw, as well as the iconoclastic cartoonist, Robert Crumb. The subjects of his glass blowing has ranged from outrageous, highly embellished animal figurines to domestically whimsical and contemporary images like dustpans and Monopoly-game houses. His work can be found in the collections of the American Glass Museum, the Corning Museum of Glass, the Los Angeles County Museum of Art, the Metropolitan Museum of Art, the Mint Museum of Art and Design, and the Racine Art Museum, among others.